Have you ever wanted to know more about the Dark Side - that is to say, design professionals in fields other than your own? 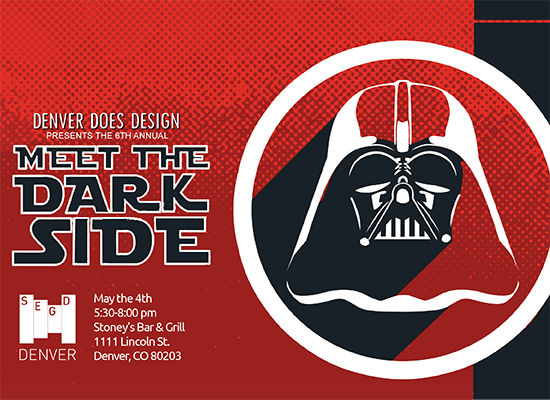 Join SEGD Denver and our friends at Denver Does Design for the 6th annual Meet the Dark Side event, the design professionals' networking opportunity of the season. Come for an evening of games and prizes while you connect with professional groups from the diverse fields of experiential graphic design, architecture, interior design, urban planning, landscape architecture, marketing, construction, sustainability, industrial design and more.